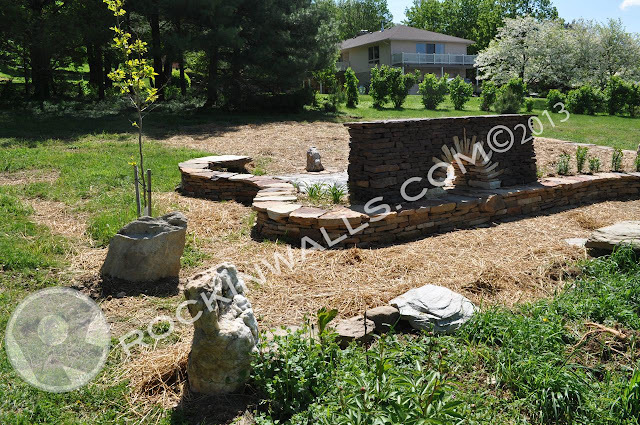 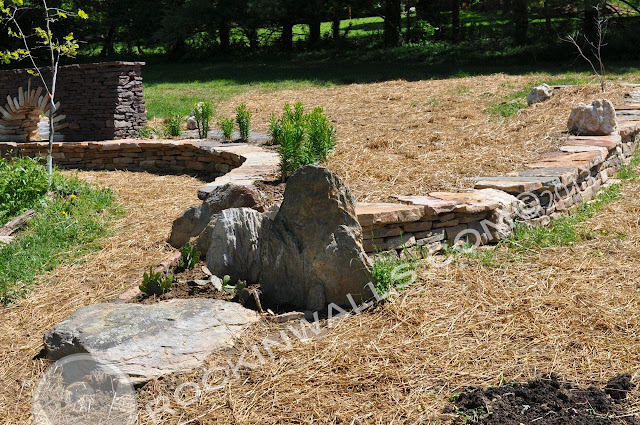 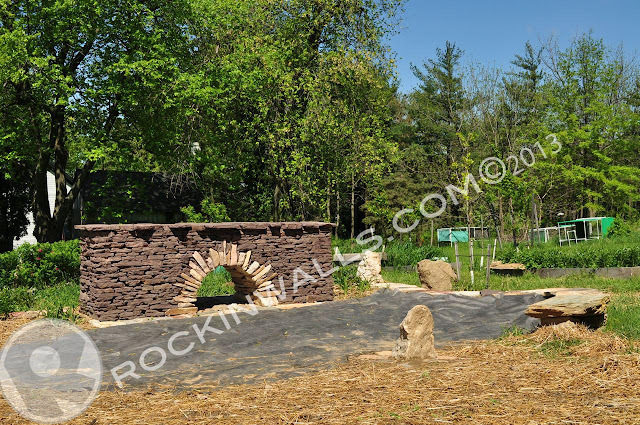 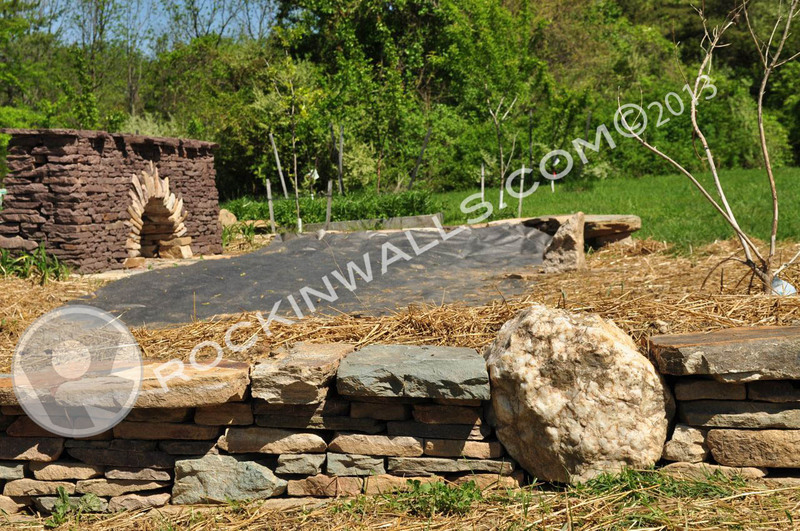 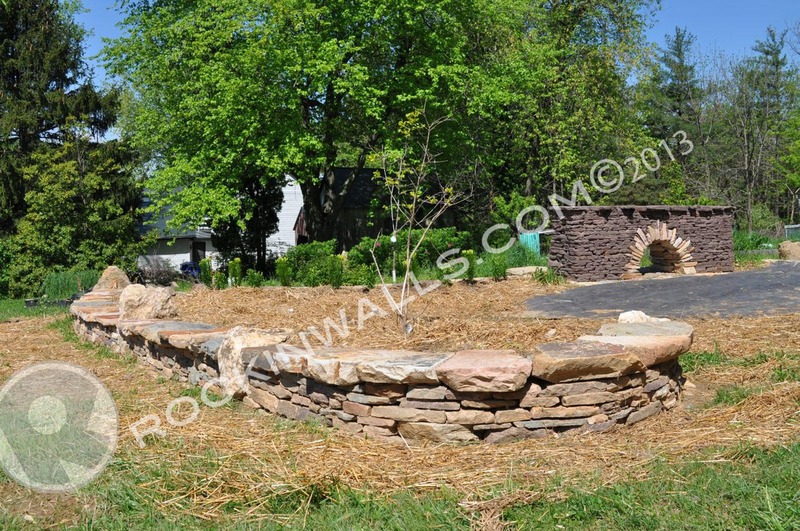 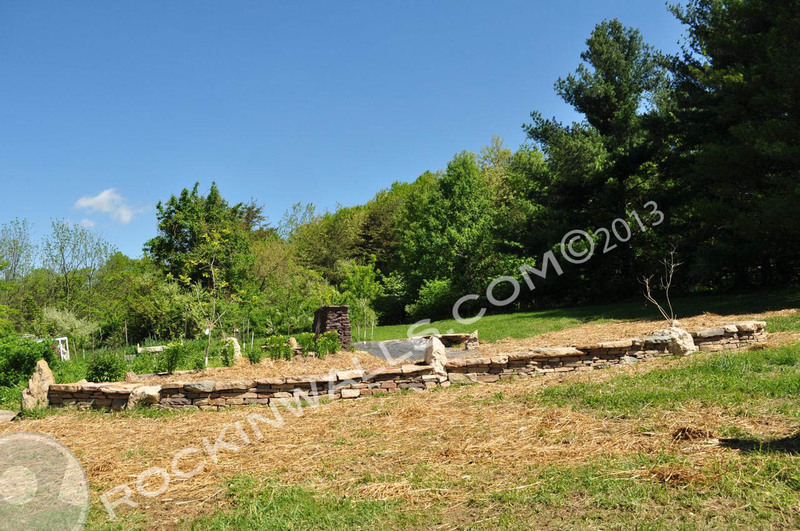 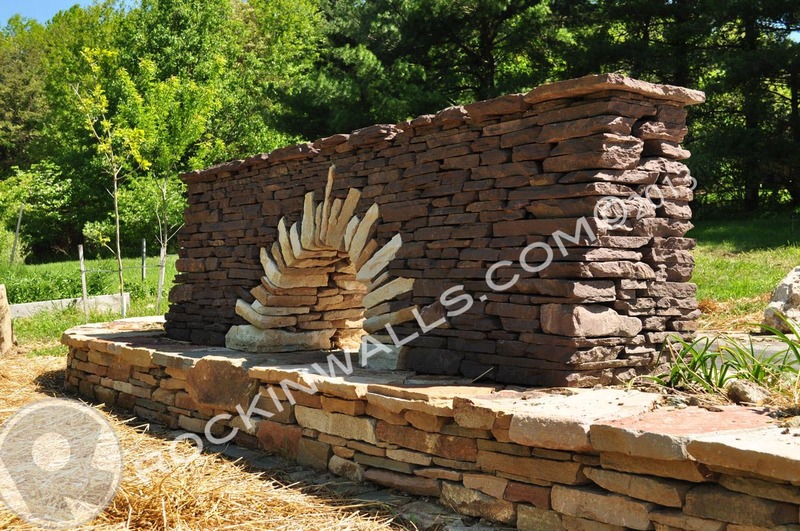 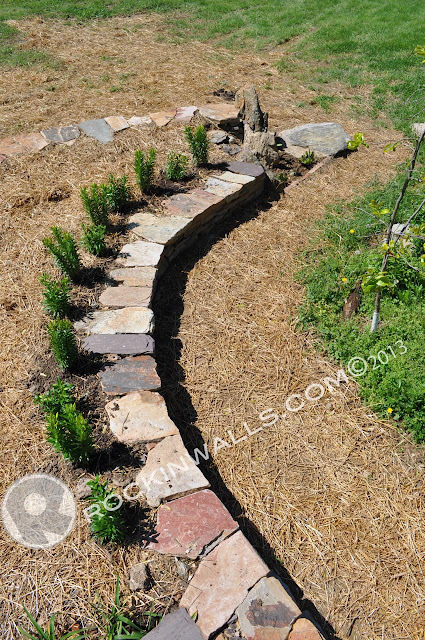 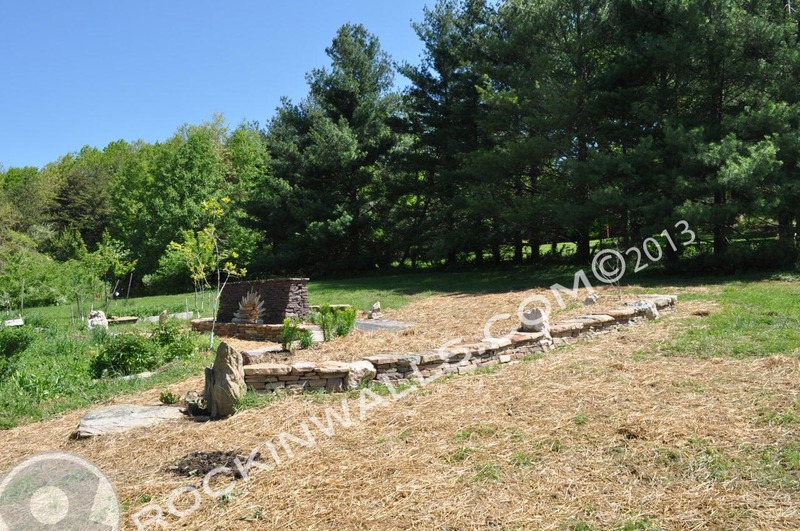 80 ft long x 1 ft high wall, 4 bench's, 6 vertical stones, 3 ft high x 9.5 ft long wall with 30" l x 19" h arch. Stone used on this project was a mix of PA Blue/lilac, Butler stone, Glenville PA, and Western Maryland. 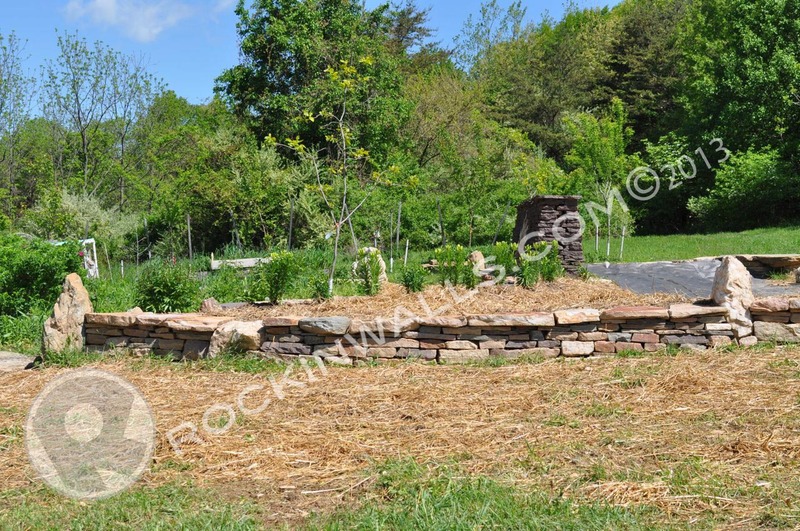 Time to build 30 days. 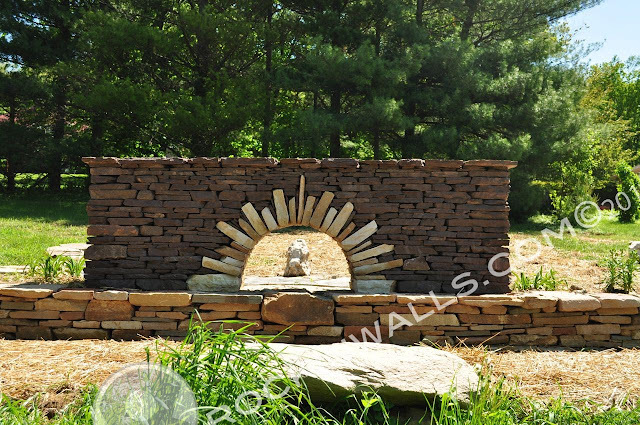 Front of star burst arch with PA Lilac and Western Maryland stone. 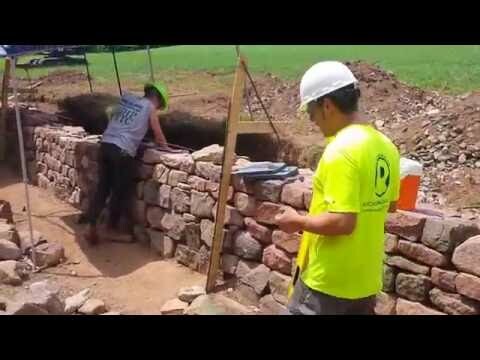 Why did the wall come tumbling down?